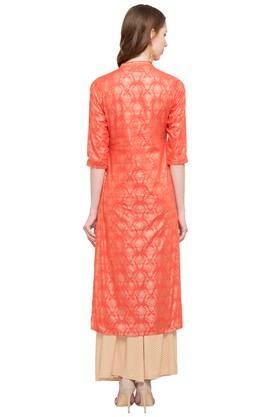 Look gorgeous by wearing this kurta brought to you by Haute Curry. It features a print pattern that will make it your instant favourite. 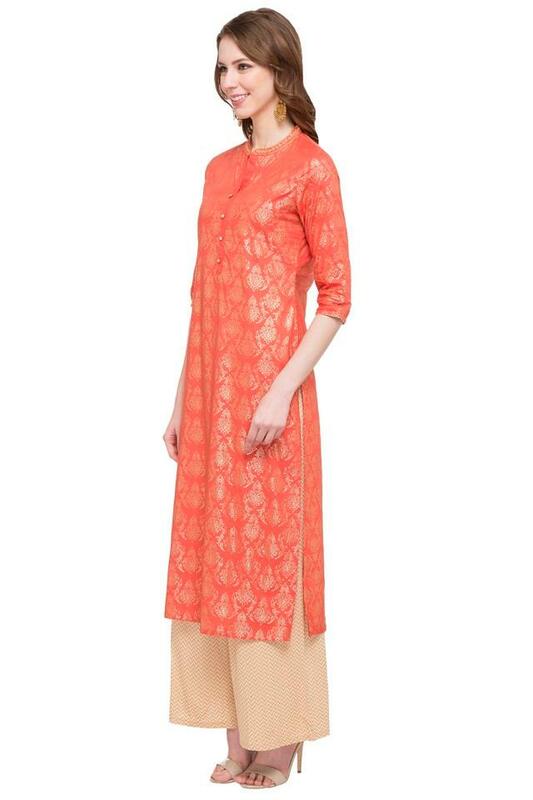 Moreover, it is crafted from a supreme quality fabric that makes it comfortable to wear. It also has a short button placket at the front that ensures convenience while wearing it. 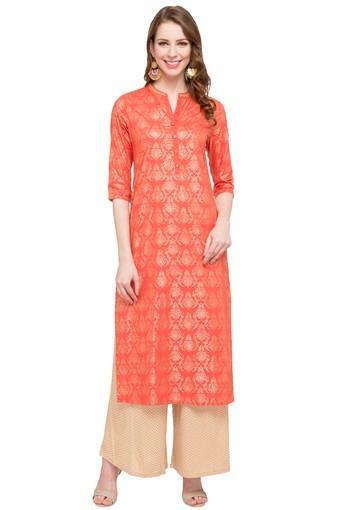 Add a refreshing touch to your casual collection with this kurta, which has been tailored to perfection. It can be teamed with a pair of leggings and wedge sandals for a complete look.